This article was first published online on March 5, 2008. Whether you are a grassroots start-up or a generations-old foundation, your mission statement deserves your attention. Mission statement are the cornerstone of both external communication and internal vision. And because mission statements represent the reduction of a complex vision into a few carefully chosen words, they are similar to Japanese haiku, poems that capture concrete images with metaphysical implications in just 17 syllables. Why Focus on the Mission Statement? Your organization’s mission statement deserves to be elegant, precise, and even poetic because these words embody the reason your nonprofit exists. The mission statement will be your north star when sailing stormy boardroom seas; when discussion gets contentious, we look to the mission statement for clarity. These few words will guide future generations of our organizations’ leaders. Outside the organization, we can use a strong mission statement to communicate the core of our work in just a few lines. To serve these purposes, mission statements must be carefully crafted. History has seen few more exacting wordsmiths than the great haiku poets, and nonprofits can learn much from them. Basho’s haiku is an excellent example of the multiple levels on which we must employ language to communicate effectively. On the surface, words have denotations; this haiku is about a particular frog that jumps into a particular pond. 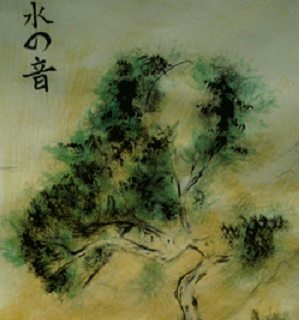 Poet Chijitsuan Tosai wrote that Basho’s haiku “describes a scene exactly as the poet saw it. Not a single syllable is contrived.”3 Your organization’s mission statement must be similarly concrete. The first test of a poetic mission statement is whether it conveys the honest, uncontrived truth of the organization’s purpose. On another level, every word has connotations, or suggested meanings. Basho’s frog has often been read as evocative of the ephemeral nature of human life. Similarly, every word in your mission statement carries connotations, and those connotations must be carefully managed in order to communicate everything you want (and nothing you don’t). Basho’s frog evokes solitude and a brief moment in the long course of time; what does your mission statement evoke? First, the word preserve is powerfully precise; preservation (as opposed to conservation) refers specifically to maintaining natural lands intact, TNC’s main mode of action. Second, the Nature Conservancy works to preserve communities that represent the diversity of life on Earth. This is an important phrase. Ecological communities consist of all of the species that interact in a particular place and time, and communities, not species, are the basic unit of a functional ecosystem. Larger and more complex than individual species, but still small enough to be readily preserved, communities are the ideal unit of science-based environmental protection. These communities are said to represent the diversity of life on Earth, because TNC works at a global scale, preserving representative places from diverse ecosystems. Further, life and diversity evoke powerful ethical concepts that are almost universally accepted. Finally, TNC addresses the lands and waters these communities need to survive, underscoring the importance of land preservation, the organization’s main program. The Nature Conservancy’s mission statement is powerful because its precise language distills the essence of the organization’s wide-ranging work and vision into a few key phrases. In doing so, the mission statement provides a banner for environmental protection rooted in science and ethics. Your organization’s mission statement can provide a similar rallying point if well-crafted and well-applied. The mission of the American Library Association is to provide leadership for the development, promotion, and improvement of library and information services and the profession of librarianship in order to enhance learning and ensure access to information for all. The first haiku focuses more strongly on the inclusive nature of quality library services, one final result of the ALA’s work. The second haiku stresses the ALA’s direct work on improving librarianship. Neither poem alone includes the full extent of the American Library Association’s mission, but each captures a different understanding of its essence. If you are writing or rewriting your organization’s mission statement, approach the process as if you were composing a purposeful poem, keeping each word’s denotations and connotations in mind. If you are reading an existing mission statement, you may recognize imprecise language, and a revision might be in order. The process can even provide an opportunity to engage in a meaningful discussion of your mission. If your mission statements is already what you want it to be, examine the wording carefully, it will probably conjure the spirit of your organization more clearly than a decade of year-end reports. Finally, once you have crafted your mission statement and understand it fully, give it life. Make sure everyone involved in your organization knows the mission statement by heart and can use it to describe your work and vision. Sometimes we have only a few seconds to capture the attention of a potential ally, and a poetic mission statement may be the exact vehicle necessary to capture your audience. Hass, Robert. The Essential Haiku: Versions of Basho, Buson, and Issa. Ecco Press 1994. Hopewell, NJ. Ueda, Makato. Basho and his Interpreters: Selected Hokku with Commentary. Stanford University Press 1991. Stanford, CA. Christopher Finney was a candidate for the Master of Environmental Management and Certificate in Latin American Studies at Yale University. He now is the Philanthropy Communications Specialist at The Nature Conservancy.